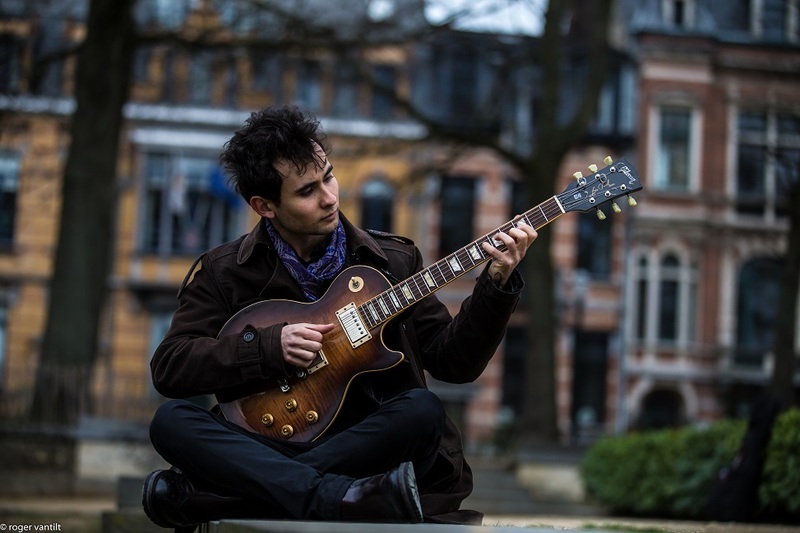 Guitarist Matteo Di Leonardo is a virtuoso on guitar with a uniquely soft and luxurious sound but a melodic imagination of exuberant audacity. He has an astonishing fertility of ideas, his intuitiveness can be felt in the way he lures you to his enticing vivacity of playing; he took up jam sessions whilst in Nairobi and you could feel his soul and ambient grooving to his flair of playing the electronic guitar. He colored most of his music with surprises tinged with counter melodies, relaxing tunes that would go etched in your mind. 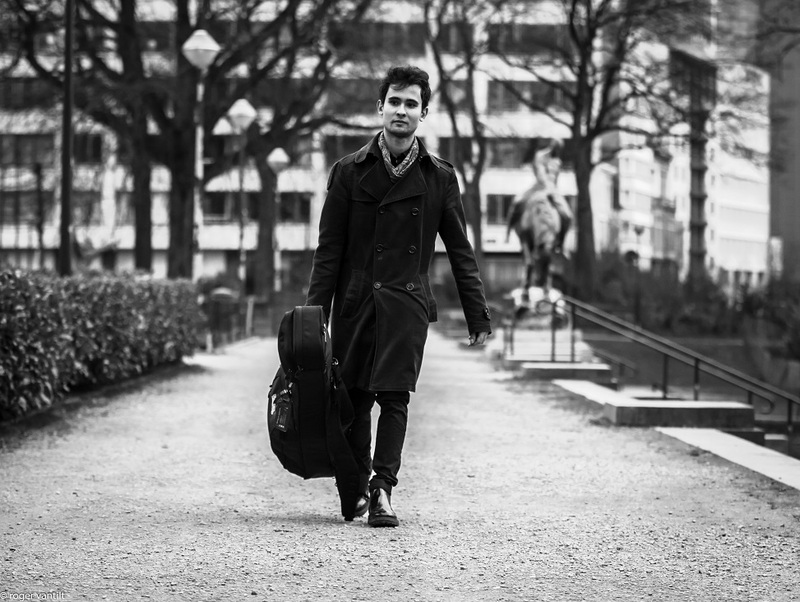 With a guitar strapped on his back, holding an amp on his right hand; he strolled in Karel T lounge, impeccably adorned in a black shirt and a satin scarf round his neck. He has a great taste in fashion apparel. The Karel T Lounge, a unique location with a relaxing ambiance smack in the middle of the new Village Market mall section, would be the last stage Matteo would grace for his last show in Kenya. We exchange pleasantries and says, “As the Italian culture dictates, we always have an aperitif before diving into our meals?” I had no idea what an aperitif is. “An aperitif is an alcoholic drink taken before a meal to stimulate the appetite; prepares the stomach for food”. 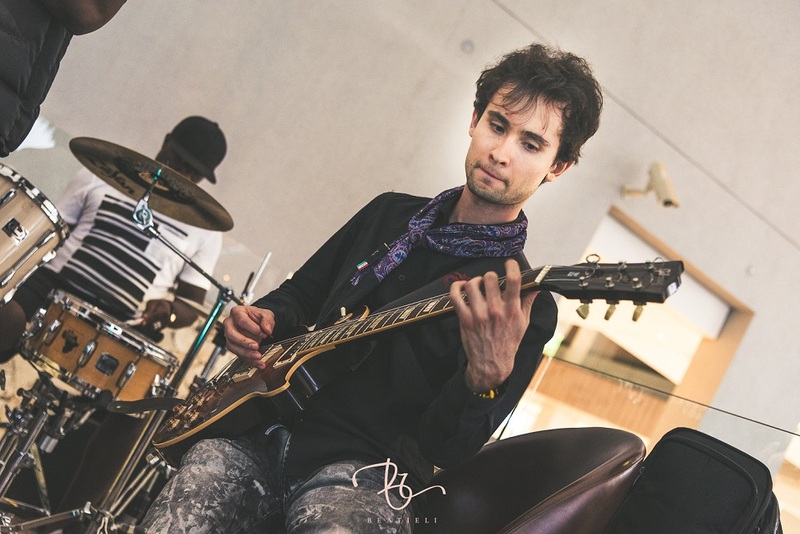 Matteo’s passion for music propelled him to win a jazz competition that was aimed at created Jazz Networks between Italy and various countries. The competition which was promoted by MIDJ (Italian Jazz Musician Association) and SIAE (Italian Authors and Editors Society) in Italy selected 20 young musicians to be sent to 20 different destinations in order to spread Italian jazz gospel. “The AIR (Artist In Residence) Project, is a big competition organized and promoted by MIDJ (Italian Jazz Musician Association) and SIAE (Italian Authors and Editors Society) in 2017 to give to young Italian musicians the opportunity to live the experience of an artistic residence abroad for one month. I was selected from a pool of 20 musicians and sent to Nairobi, Kenya. The scheduling of my arrival was organized by MIDJ, in collaboration with the Italian embassy in Nairobi and the Italian Institute of culture of Nairobi. In Kenya, I was in touch with the finest Kenyan musicians, Saxophonist Juma Tutu and the trumpet player Mackinlay Mutsembi. Luckily I spent my childhood listening unconsciously to a lot of good music: my father normally puts a lot of Vinyl and cd’s (from Genesis to Pink Floyd, from Pat Metheny to Steely Dan, and many others). So Music was in the air at home even if I don’t come from a generation of musicians, but my dad could play some little stuff on guitar and I decided to try, grabbing a classical guitar that was dropped in a corner taking dust since years. I started with rock music: David Gilmour, the guitarist of Pink Floyd, my first inspiration, Led Zeppelin, Deep Purple, Genesis among others, but on the other hand I randomly started listening,: Pat Metheny, a man whose musical approached imbued me to love jazz, I was too fascinated. I studied music with amazing musicians and created good jazz networks through music conservatoires and music clubs I join and participated in, first in Italy between Pescara and Rome and then in Brussels, the city where I currently live. 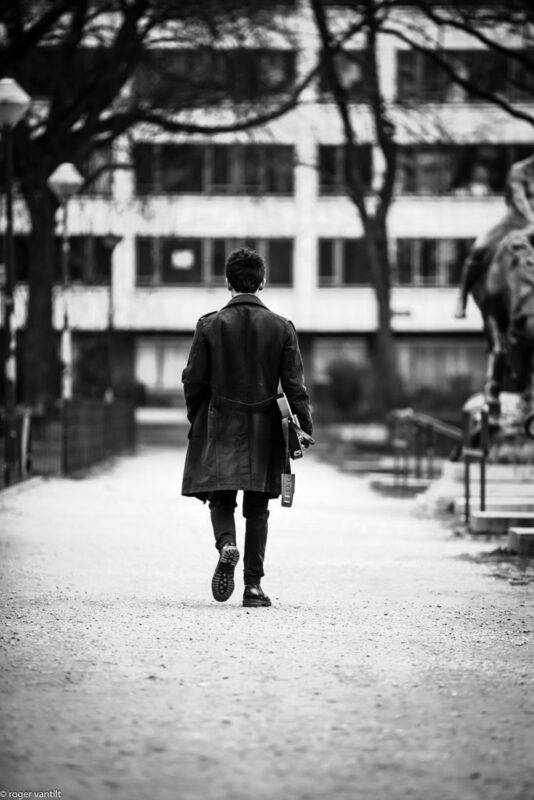 Matteo treats his music like an autobiography of his life, he says, “It is in Brussels, my debut album, “Sketches” was born. My good friends, Filippo Bianchini (sax), Claudio Filippini (piano), Dario Piccioni (double bass), Armando Luongo (drums), came through to help me produce my first album. I was blessed beyond measure to have renowned guitar player Philip Catherine as the special guest. Mamma mia! What is an album without an amazing producer such as Hans Kusters and the whole staff of September Jazz Label. 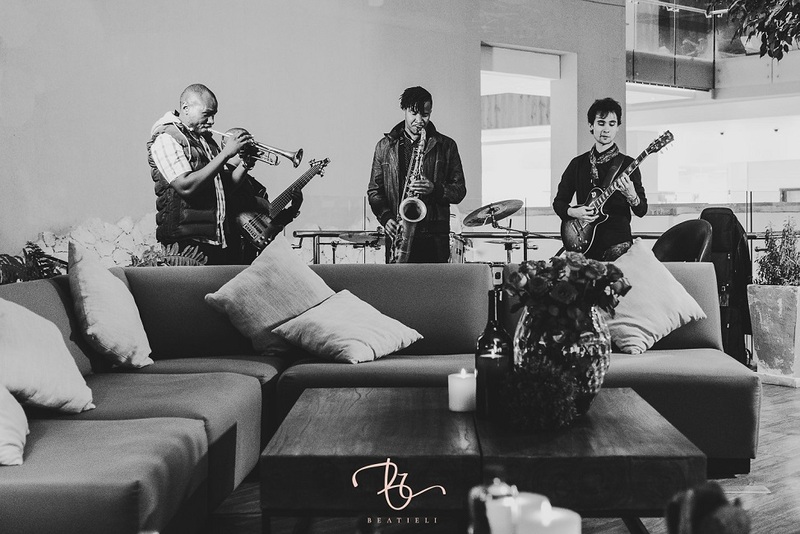 Matteo performing alongside Mackinlay (trumpet), Rabai (sax), Stanley(bass), Amani (drums) at Karel T-Lounge in Nairobi, Kenya. 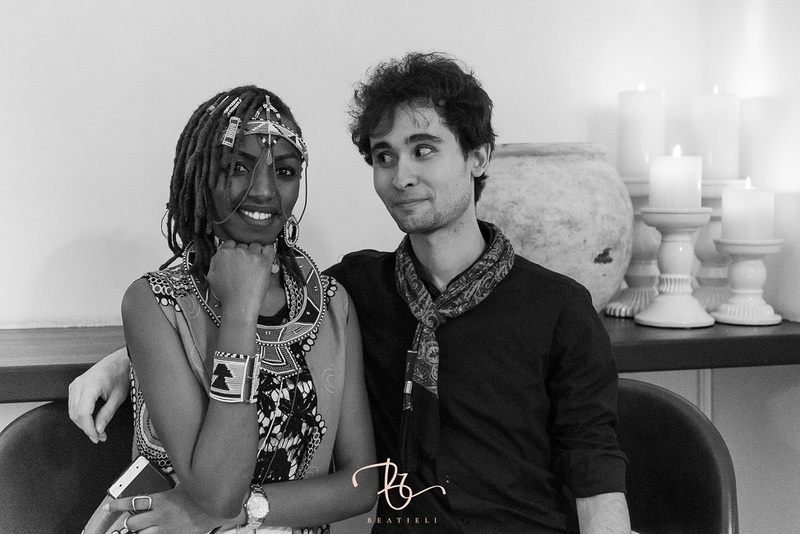 Matteo had no rest whilst in Kenya, he was heavily involved in the musical scene. 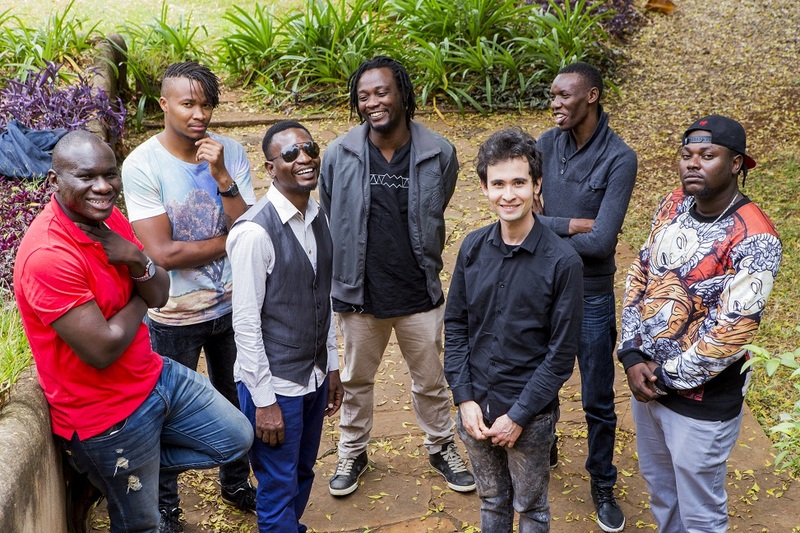 He collaborated with many Jazz luminaries who were willing to support him in his venture in Kenya, “I am quite honored to have worked with many Kenyan jazz stars. I worked closely with Juma Tutu and Swahili Jazz band, where he organized an event that I got to perform alongside his band and Emy Kitasako a phenomenal lady on trumpet. Additionally, I worked with Mackinlay Mutsembi and Rabai Mokua members of Nairobi Horns Project. Their professionalism in music propelled me to do an album which is titled Kabisa. (Means totality). He dashes to the stage it is his final performance; he is joined by Mackinlay Mutsembi, Mokua Rabai, Tim Riungu, Stanley Kyalo, Amani Baya who put up an exhilarating show to the crowd’s applause.